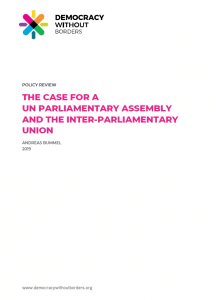 A new policy review was released by Democracy Without Borders titled The case for a UN Parliamentary Assembly and the Inter-Parliamentary Union. It was authored by Andreas Bummel, co-founder and executive director of the organization. 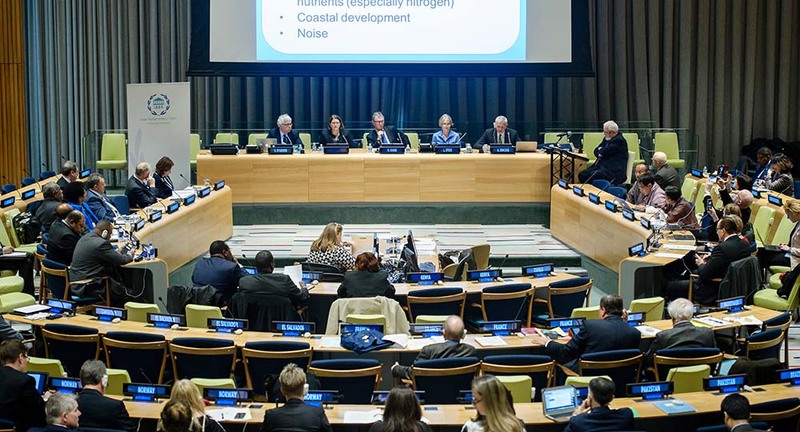 This paper looks into the relationship between the Inter-Parliamentary Union (IPU) and the proposed United Nations Parliamentary Assembly (UNPA). It outlines the characteristics of these two bodies and provides an assessment of their similiarities and differences with special consideration of the IPU’s ongoing collaboration with the UN and its capacity to address the UN’s democratic deficit. The study outlines the IPU as an umbrella organization of national parliaments that is independent and separate from the UN. Its primary role in terms of its collaboration with the UN is to assist and coordinate national parliaments in the implementation of globally agreed policy and to strengthen their involvement in matters of global concern. The UNPA, on the other hand, would be a formal UN body composed of individual parliamentarians representing the world’s citizens vested with an oversight function vis-à-vis the UN. A primary goal of the UNPA would be to consider matters of UN governance and the development of the international system. The UNPA is presented as a first step in the long-term development of a democratically elected world parliament (WP). The study identifies important differences, in particular in terms of functions, powers, institutional design and legal characteristics. It concludes that the relationship between the IPU and the UNPA is a complementary one and that the UNPA would take over a role that the IPU currently does not have. It is explained that in parallel the IPU’s relevance as an organization of national parliaments will increase from the long-term perspective of a future world legislative system. Finally, the paper examines the proposal of a United Nations Parliamentary Network (UNPN) and confirms that this network may represent a pragmatic and useful precursor of a UNPA. It is emphasized that restoring trust in democracy will only be possible if democratic representation and participation is extended to global decision-making through a body of elected global representatives.